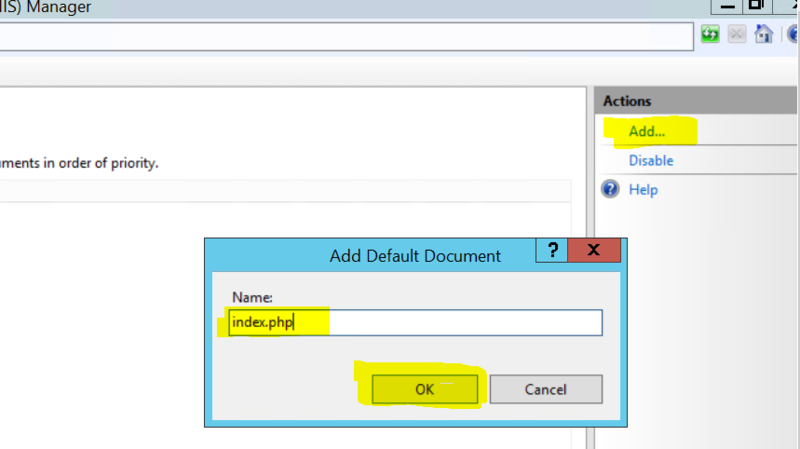 Installing PHP7 on Windows Server 2012 R2 and IIS 8 – Life in apps, os's and code! 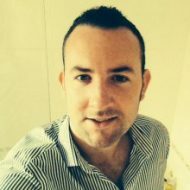 At the time of writing PHP 7.0.6 is the latest stable release and given that we are going to be using Microsoft’s IIS as the web server on Windows Server 2012 R2 (x64) we will need to download the latest version of PHP 7.0.x ensuring that we download the NTS (Non-thread safe) version and the x64 build. Download and install the VC14 (Visual C++ 2015) runtime. You can download the latest PHP binaries from the PHP website found here: http://windows.php.net/download/. You must pay special attention to the version that you download, given that my server(s) run the 64-bit version of Windows, I will naturally choose to download and go for the x64 NTS (none-thread safe) version of PHP. Once downloaded, extract all the files to C:\PHP, this directory will be used to store our PHP binaries and configuration files. 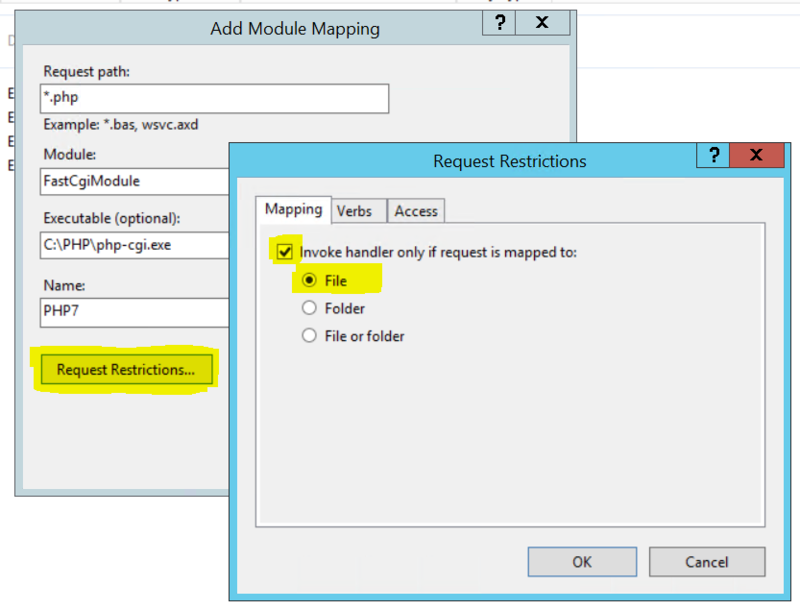 PHP7 (at the time of writing at-least) has been compiled in Visual Studio 2015 and thus needs the VC 2015 runtime installed on the server, again, it is important that you install the version that matches your servers hardware architecture (x32 or x64) alternatively install both and you cannot therefore go wrong! Install the runtime as described above, it is now recommended that you reboot your server for that changes to take full affect! 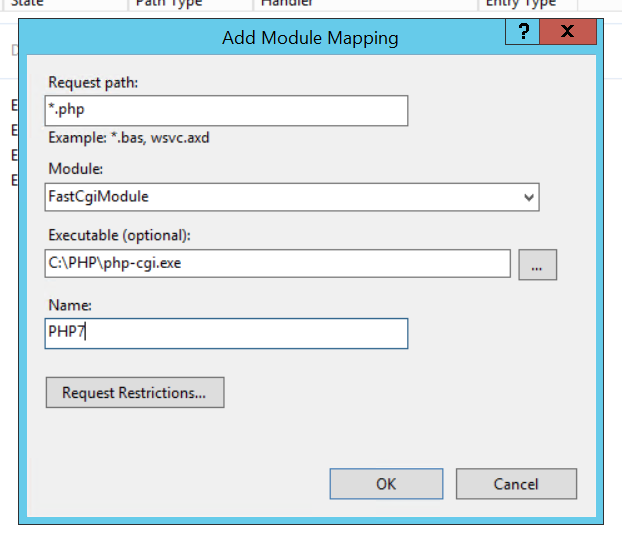 We now need to install the CGI module to enable IIS to “talk” to PHP. Note: Although this post is for Windows Server 2012 R2, if you have stumbled across it specifically for installing PHP7 on Windows and are using Windows Vista or 7, you can find the CGI feature under: Control Panel\Programs and Features. After opening the Programs and Features icon you should click on the link to the left labeled Turn Windows Features On or Off – In the tree of services that are then displayed, navigate to Internet Information Services\World Wide Web Services\Application Development Features and then tick CGI. Now that we have the required runtimes installed and IIS has the CGI module enabled we can now start the final part of the setup and that is to install PHP! 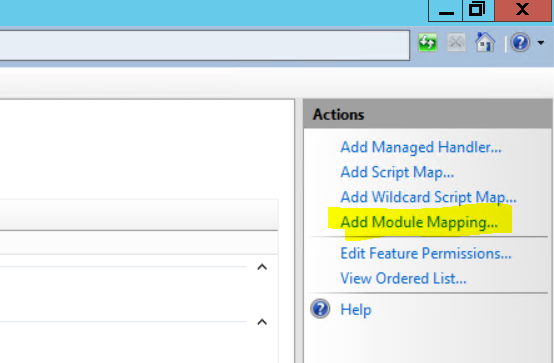 Now click Ok and Ok again, the module mapping is now configured! Great stuff! – That’s it, adding a new site and add a index.php file into the root of the home directory should now work! Load the file and you should then be able to see all of the PHP runtime configuration and loaded extensions. At this point we have PHP7 installed in it’s vanilla form, this means that there are no other PHP extensions enabled at present and the timezone etc. has not yet been set.